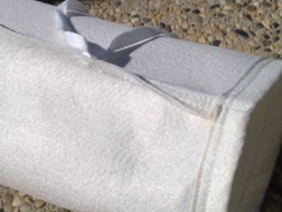 ProFab® Silt Socks are factory fabricated from high quality geotextile into a tube of various lengths. ProFab Silt Socks can be purchased in roll form and cut to length on site to suit the application or may be purchased as a single item of short fixed length. Silt Socks are filled with sand or gravel and laid around various site storm water inlets or across open drains to slow the velocity of runoff flow and retain suspended sediment. The aim is to minimise this silt or sediment loss from sites and the entry of these particles into storm water systems and ultimately protecting the natural waterways. ProFab® Silt Socks are used to compliment the requirements of local, state and federal government authorities for erosion and sediment control on construction sites.